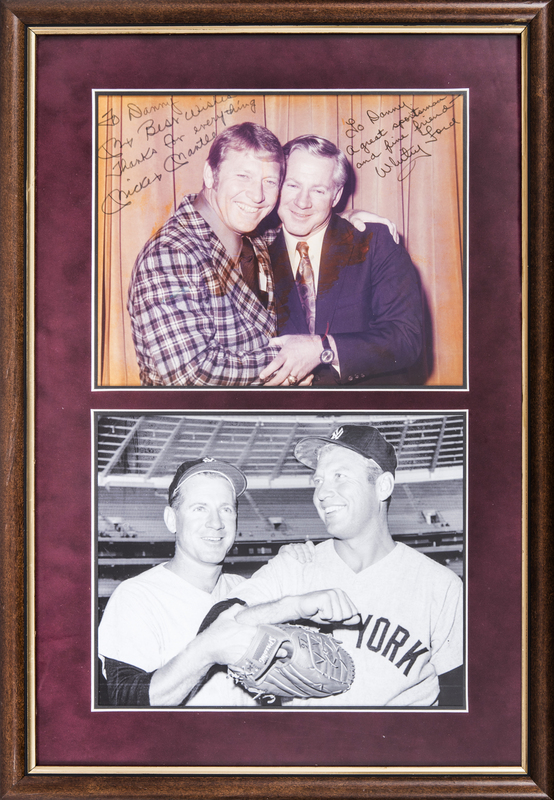 Presented here is a framed display containing a pair of photographs of Mickey Mantle and Whitey Ford, one of which has been signed by both Hall of Famers. 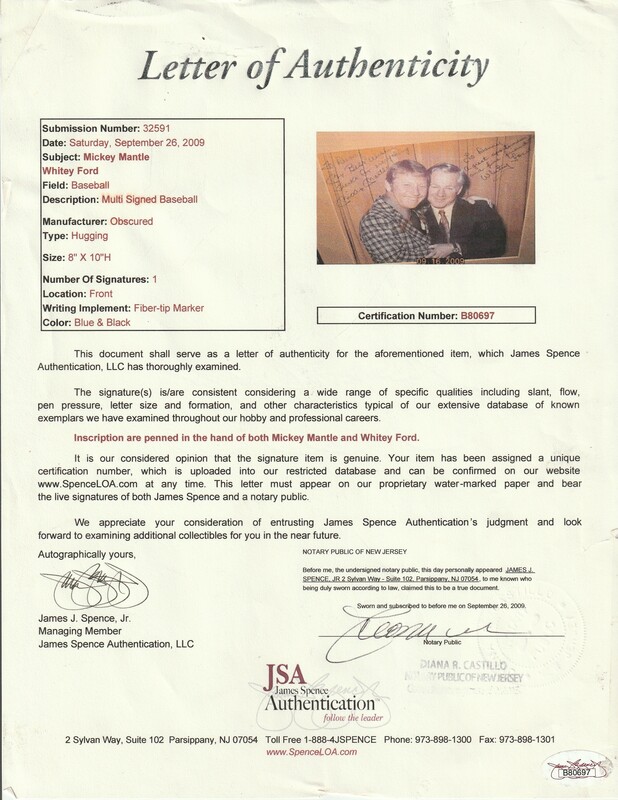 The signed photograph shows Mantle and Ford after their career, both wearing suits. Both have signed this photograph in black marker, with Mantle inscribing “To Danny / My Best Wishes / Thanks for everything” and Ford inscribing “To Danny / A great sportsman and fine friend” above his signature. 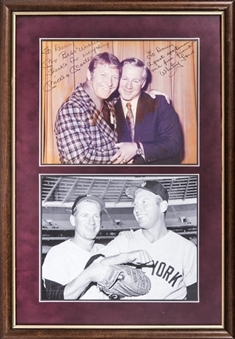 This color photograph measures 10 x 8 inches and is displayed above a black and white photograph of Ford and Mantle taken during their playing days. These photographs are displayed in a 15 x 21-inch framed display. It is accompanied by a LOA from JSA (B80697).